Register Log In ECN Forum Forums General Discussion Area How many electricians??? I see that light you hooked up last week was flickering! Looking over England I can even make out the blob of light that is Norwich, my nearest large city. Yes ma'am, we do fix lights. Now where did you say yours was? sparky you haven't changed them burnt out bulbs yet? especially those 15 watt ones. LOL! I'm in that ridiculously large blob of white that seems to extend from San Diego to Santa Barbara. The one with all the "rules" so that we don't ruin our environment. I'm in that other huge blob that extends from Maine to Virginia. 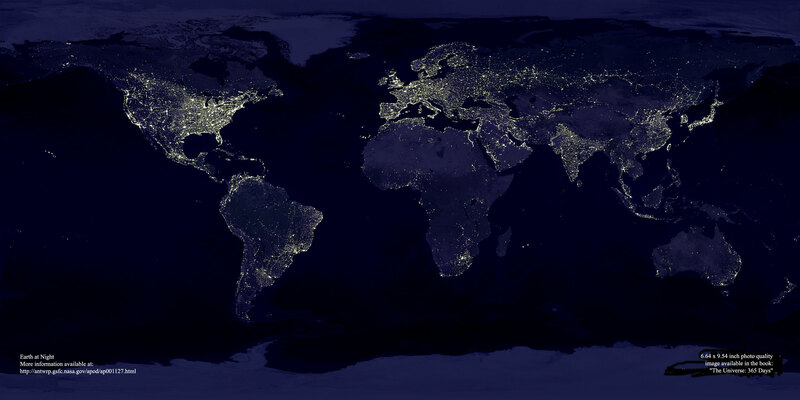 It looks like Europe and the U.S. are the most lit up places on earth. But of all the places on the map, I think the Nile in Egypt looks the coolest. Titusville, Fl. today, saw the launch tower this morning. Look for North Korea and compare it to South Korea. Not a whole lot of lights in North Korea.